Nobita finds a mysterious round green object and the leg of a giant robot at the north pole. Nobita takes both objects back home when suddenly robot parts suddenly fall one after another into the yard . Doraemon and Nobita then make a giant robot "Zanda Claus" by assembling parts in the alternate mirror world. A mysterious girl Lilulu appears and introduces herself. The girl states that the robot is hers. In fact Zanda Claus and Lilulu are sent from a plaent, where robots are about to conquer the earth. 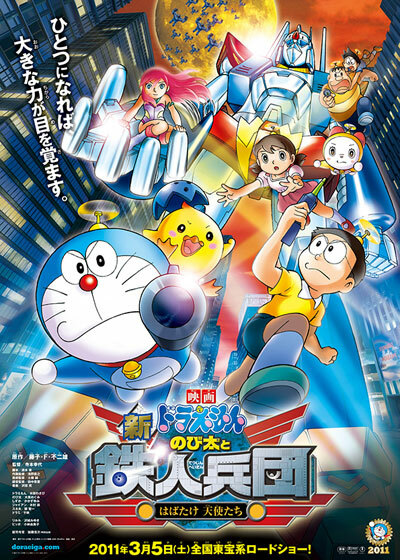 Can Doraemon and Nobita save the earth against the giant robot corps?